Sharpening a medical debate about the costs and benefits of cancer screening, a new report estimates that the U.S. spends $4 billion a year on unnecessary medical costs due to mammograms that generate false alarms, and on treatment of certain breast tumors unlikely to cause problems. The study published Monday in the journal Health Affairs breaks the cost down as follows: $2.8 billion resulting from false-positive mammograms and another $1.2 billion attributed to breast cancer overdiagnosis. That's the treatment of tumors that grow slowly or not at all, and are unlikely to develop into life-threatening disease during a woman's lifetime. Breast cancer is the second most common cause of death from cancer among American women, claiming nearly 41,000 lives a year. Annual mammograms starting at age 40 have long been considered standard for preventive care, because cancer is easier to treat if detected early. But recently there's been disagreement about regular screening for women in their 40s. It parallels the medical debate about the pros and cons of prostate cancer screening for men. Ong is a research fellow at Boston Children's Hospital and Mandl is a professor at Harvard Medical School. Apart from the financial cost of screening tests and treatment, false positives and overdiagnosis expose women to risks from additional medical procedures, not to mention psychological distress. It's not uncommon for mammograms to turn up some apparent abnormality that has to be resolved with more imaging tests or a biopsy. "We're hoping that the financial cost of this problem will help cast into greater relief the human cost," said co-author Mandl. "The two messages together are powerful. The fact that this is not only a problem, but a very costly problem, we hope will accelerate the attempts to try to fix the screening practices." "There was no attempt to balance the costs with the benefits," said Richard Wender, who heads prevention, detection and patient-support efforts at the American Cancer Society. "I strongly feel that every study that looks at the downsides of any screening test has to be balanced with the benefits." The American Cancer Society recommends yearly mammograms for women starting at age 40, while a government advisory group -- the U.S. Preventive Services Task Force -- recommends that regular screen begin later, at age 50. The study found that women ages 40-49 were more likely to have a false-positive mammogram, compared to women in their 50s. Wender questioned the assumptions behind the new study, saying that the authors made a "very selective choice of estimates" for the rates of false positives and overdiagnosis. 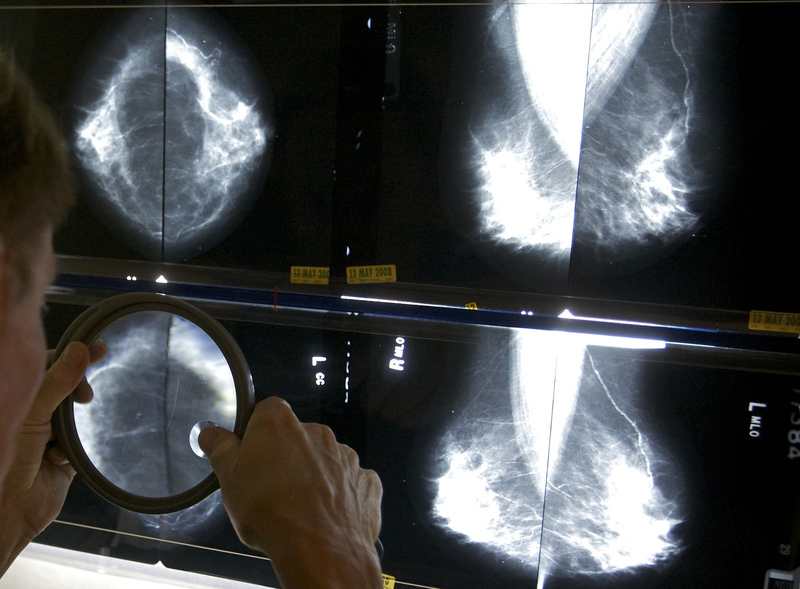 "There is no debate about the benefits of mammography," he said. Cancer treatment may end up being one of the most closely followed issues in the broader debate over health care costs and benefits. A different study also published in Monday's Health Affairs found that cancer death rates were lower in countries that spent more on cancer care, and that countries that increased spending the most made more progress in reducing death rates.